Well, not exactly cake... but a great way to use canned salmon! The ingredients are minimal (perfect for the cabin or camping) yet tasty, and a frying pan is all that is required. 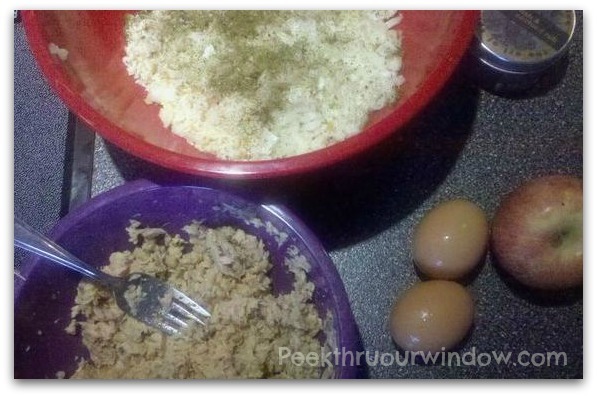 Mix ingredients and form into patties. Place patties in the frying pan when oiled and hot! Flip the patty over after a few minutes and do so until both sides have been browned. Sprinkle with salt if desired, or pair with tartar sauce or ketchup. 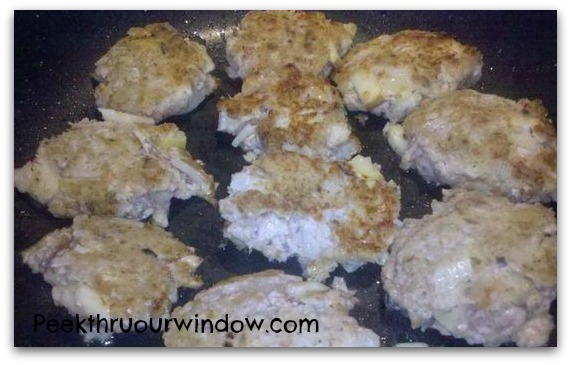 This recipe will yield 6 good sized patties, but can easily be doubled or made into smaller patties.